In an essay entitled “Examined Lives,” (The American Scholar, Autumn 2013) the prominent biographer Phyllis Rose makes the following statement: “The material does not make the work. The life does not make the art. Exactly the opposite. The work creates the material. The art creates the life…it’s the imagination that creates the life not vice versa.” As Rose points out, Proust argues a similar point in his essay Contre Sainte-Beuve which is condemnation of the biographical interpretation of literature as practiced by the Charles Augustine Sainte-Beuve, the l9th century critic who was a thorn in his side. It’s a stunning statement by someone who has devoted her life to the study of writers. In one sense, Rose starts her essay by closing the door on a whole area of understanding that involves following the footsteps of the author. But she soon makes a turn around. 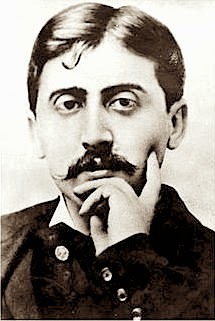 Citing the case of Paul de Man, an exemplar of the French school, who turned out to have written anti-semitic screeds, she concludes denying the validity of the writer’s life, as the American counterparts of the French school the text oriented new critics did, discountenances much valuable anecdotal material that can illuminate a writer’s work. Rose writes, “To take Edmund Wilson’s essay on Dickens in The Wound and the Bow as an example: he explored how Dickens’s childhood experience of being sentenced to what he saw as slave labor by his parents affected his future sympathies and themes.” So in the end what Rose is advocating is that the biographer must navigate a fine line between what Kierkegaard called the esthetic and the ethical view. Whether biography ever climbs to the most evolved of the categories Kierkegaard offers, the religious, might in the end depend on the equanimity with which the biographer is able to approach the two sides of a writer’s life. In any event, the study is of literature is for Rose as spiritual act. “We want to learn the secret of creativity, because it can be the secret to happiness,” Rose writes. “We turn to all kinds of literature, biography and fiction both, to learn how to live, and in a way, all books are self-help books."